So far in The $1,000 Challenge, I've shown you how I cut more than $800 a month from my family's budget in nine spending categories. (To catch up, check out the previous articles in the series here.) The last step in reaching my goal of cutting our spending by a full $1,000 a month was to trim $168 out of what we spent on housing. Refinancing my 5.5 percent mortgage to 4.875 percent -- and rolling in the balance of a small variable rate home equity line -- would cut $113 out of my monthly housing budget. 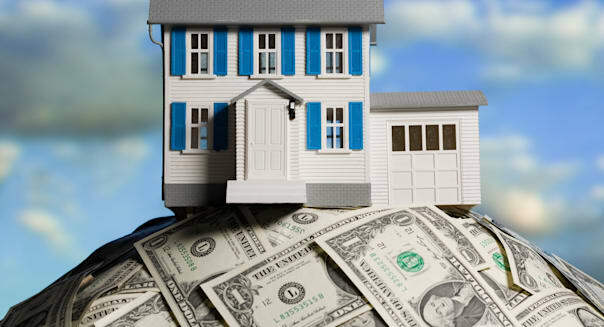 The rules for smart refinancing are simple: It should not lengthen the term of the loan; it should pay for itself in 24 months or less; and, other than loans fees, it should not raise the your balance. And it won't happen in a hurry. I gathered recommendations for established local mortgage brokers and found one who didn't charge an application fee until after an appraisal had been conducted. That way, I wouldn't waste $400 or $500 in nonrefundable loan fees on top of a $300 appraisal bill if my home didn't qualify for a new loan. I got my broker to tell her manager to tell the independent third-party appraisal management firm to tell the independent real estate appraiser that I needed the appraisal in time to wrap up my cost-cutting project. So, of course, the appraisal was set for two weeks after my deadline. My message to the appraiser had to travel across all those byzantine firewalls for good reason: They were add to the appraisal process in an effort to keep mortgage brokers from influencing appraisers. They most likely work, which can eliminate a lot of the shenanigans and outright fraud that helped inflate the housing bubble. But they also add extra steps to the complicated process of any real estate transaction. So I needed to look elsewhere for my last week of savings. Other savings on the house were out, too. Taxes have dropped with the value of the house, and my insurance agent is so good at finding me deals that he'd automatically applied the discount for my being 50 years old right before my birthday. But if I couldn't save on the house, I could at least save on the housekeeping. Cutting the maid service (my own mother calls me "domestically challenged") from twice a month to once saved $60. If I train the dust bunnies to march in formation, maybe we can start charging admission. And that was it. I had two choices: Declare defeat, or extend my cost-cutting to other parts of our budget. The next-biggest spending category was the Funny Money family fleet, which consists of a 30-year-old deck boat and its slightly older twin. That original vessel died a year before and, on the advice of our mechanic, Big Tom, we kept it for parts. That meant paying to store it -- which had to go. The storage is paid until spring, but after that, I'd pull off the parts we want, scrap the rest and sell the trailer. I also need to budget more consistently for repairs. In the year before, boat-based expenditures averaged a surprising $244.38 a month, including the dock fee but also several repairs. Instead of coming up with money when the boat breaks down, it would work better to budget for repairs and annual fees, then set that money aside each month in a separate savings account. With a boat built in 1979, unused repair money won't go unused for long. Any excess can build up to provide a cash cushion when several fixes are needed. That way we can keep the aging S.S. MoneyPit on the water without floating a credit card charge or sinking the family budget. I recommend that approach for any kind of annual expense: Create your own reserve fund to cover maintenance or repairs of anything from boats or snowmobiles to homes and cars. Averaging three years of boat repairs plus annual fees, I found that I could trim the monthly boat cost to $145, a savings of $99.38. That gets me tantalizingly close to my $1,000 goal. So where else could I save? Back to the home front, it turned out that the monthly maintenance and repair budget became inflated because, like the boat, there were a few big one-time expenses the previous year. Instead of the $100 per month we average in most years, the prior year worked to more than $250 a month. That boosted the repair and maintenance average over the past few years to $135 a month. Trimming that to $125 and accruing the difference in the annual expense/repairs account means we can cut $10 but still build a reserve fund to cover big things. That brought my last week's savings to $169.38 -- and push my total to a whopping $1.39 over my $1,000 goal. While tinkering with the maintenance budgets won't reduce my overall spending, it still lowers my monthly spending by evening out what comes out of our take-home pay. Instead of having to skip another bill or pile more debt onto a credit card, I'll be able to pay repair bills with cash from the reserve account and keep all our other financial goals on track. %VIRTUAL-article-sponsoredlinks%Not everything I've outlined in this 10-week series will work for every family. But I hope I've given some idea of a good approach to getting your finances under control in a way that's fast and easy. Got after your biggest categories to find the most spending, and concentrate on monthly bills so that you'll be saving money each and every month. Go over every bill, methodically, one at a time, category by category. Cut out what you don't use, don't really need, and then look for less expensive alternatives to what's less. It takes some effort and, if you're really pinched, some creativity and, yes, some sacrifice. But the feeling of finally getting some control over your cash should more than make up for it. All you have to do is start now, start small and don't try to be perfect. Read them in any order you want -- just get in there and start saving! Check out the series introduction to get the big picture on finding big savings in your family budget. You can check here on DailyFinance.com, follow me on Twitter, or go like The $1,000 Challenge Facebook page to get a heads up whenever a new installment comes online. Follow Brian: On Facebook, on Twitter and on his blog. Read Brian's columnsin The Detroit News. Buy the Book: Discount orders on "The $1,000 Challenge." Or better still -- don't buy the book. WIN it free. DailyFinance is giving away 10 copies, and all you need to do to toss your name in the virtual hat is follow @daily_finance on Twitter and re-tweet one of our $1,000 Challenge Giveaway Tweets. To find our tweets easily, search for #dailyfinancegiveaways.